Standing, walking, hand and arm function all require one key skill, Balance! 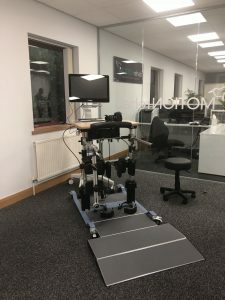 MOTIONrehab have integrated the THERA-Trainer BALO in their treatment approach to enable individuals to exercise the upper body and pelvis muscles with repetitive exercises in an environment that challenges their balance but protects them from falling. Following a neurological injury such a Stroke, Head Injury or Spinal Cord Injury or illnesses like MS, Parkinson’s disease or other related neurological conditions the loss of balance can be devastating as it limits an individual’s ability to perform day to day activities. All too frequently individuals have falls or their risk of falling is very high. The consequence of a fall can limit or take away independence. With this in mind, balance exercises seems even more important. Consequently the foundation of any rehabilitation programme starts with the ability to balance. Dynamic balance activities are more of a challenge and therefore more motivating for the patient. In addition to balance training the THERA-Trainer BALO allows individual’s to access regular standing as part of their therapy. From a therapeutic point of view these exercises cannot be overrated as it can prevent many secondary complications experienced by people living with neurological impairment. For example, long periods of sitting or lying can result in muscle weakness, muscle shortening and pain. Using the THERA-Trainer Balo and dynamic standing exercises we can help maintain sufficient hip and knee joint range of movement and muscle strength. Standing is also the best prevention against loss of flexibility in the ankles which can limit standing and weight bearing. It is not just muscles and joints that benefit from regular standing exercises. Using the THERA-trainer Balo can help with circulation, blood pressure, breathing, bowel and bladder function, bone strength and increase exercise tolerance. 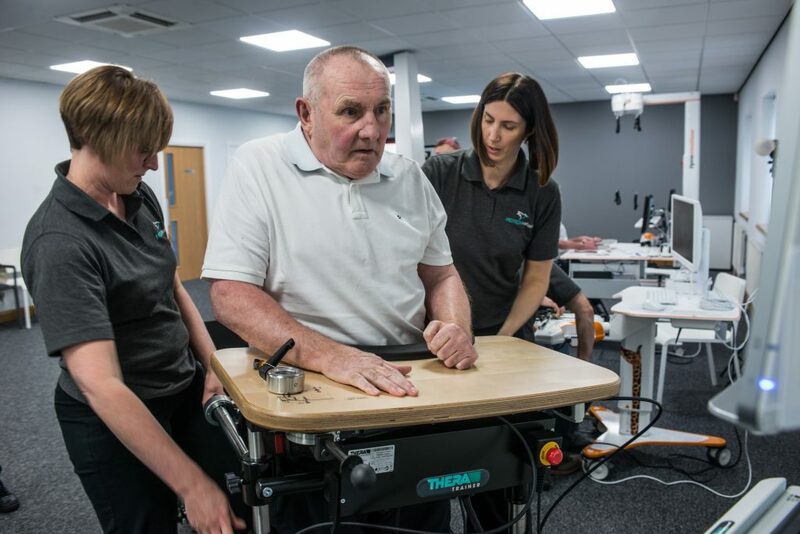 MOTIONrehab’s Intensive Rehabilitation Programmes include 80 hours of neurological rehabilitation over 4-7 weeks dependant on the outcome of your assessment. MOTIONrehab recognises that everybody is different and may come to us at a different stages of their rehabilitation. Therefore, MOTIONrehab have three high-intensity rehabilitation options and you will be advised which is the most clinically appropriate at your initial assessment.